Fiji became independent within the Commonwealth in 1970. 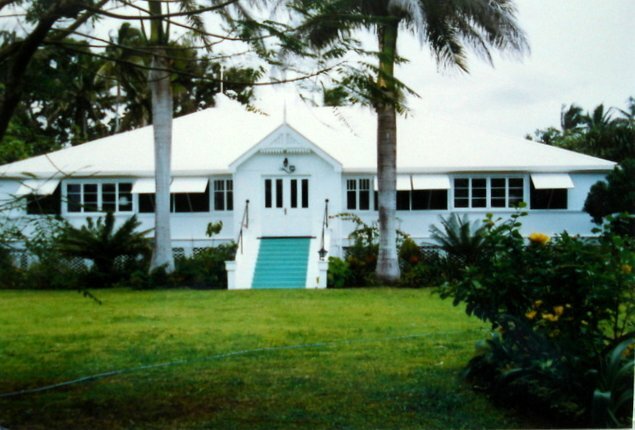 At that time, the government of Fiji leased Gordon House on Cakobau Road, built in 1964 as the official home of the former chief secretary, as the British high commissioner’s residence. The five-year licence arrangement was replaced in 1988 with a 99-year groundlease from 1 July 1987. The offices were leased in the New Town Hall from independence to 1985, when they moved, on a ten-year lease, into the newly-built three-storey Lynica House, later called Victoria House, on Gladstone Road. The lease contained an option to purchase the building for ten times the annual rent at any time after 1 January 1990: this option was exercised in [? date]. Papeete, on Tahiti, the largest of the Windward Islands within the Society Islands group, has been the capital since 1820 of what is now French Polynesia, five archipelagos that were taken under French protection from 1843, and in 1958 became an overseas territory within the French Community. Land for a British consulate was granted in 1837 by Queen Pomare, to be occupied by successive British consuls but not to be sold or alienated in any way. A consulate was built in 1850. In 1911, the house was raised several feet above ground level and the sanitary arrangements improved, and electric light was installed the following year. The building was demolished after irreparable damage by a cyclone in 1926, and a new one completed in 1931 by two Czechoslovakian carpenters working under the auspices of AB Donald Ltd, general merchants. The consulate closed in the 1950s and the consulate site and building were handed to the authorities. 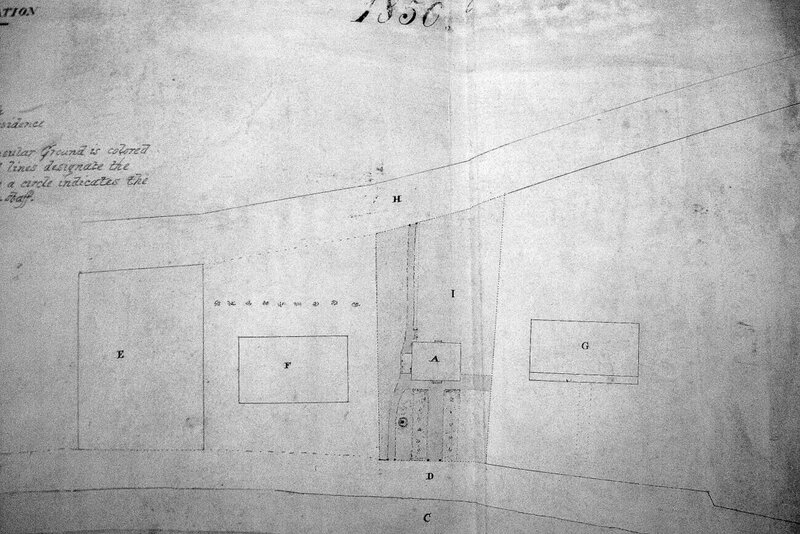 Papeete: key to siteplan below, 1850. 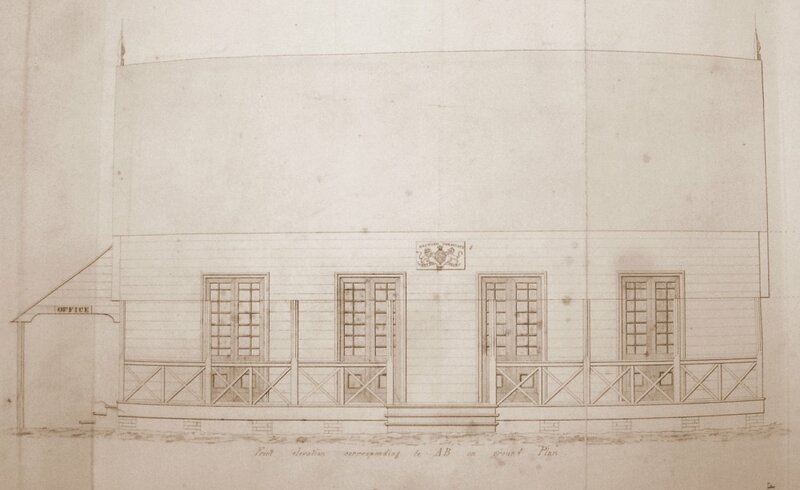 Papeete: drawing of front elevation, 1850. Kiribati became independent in 1979. 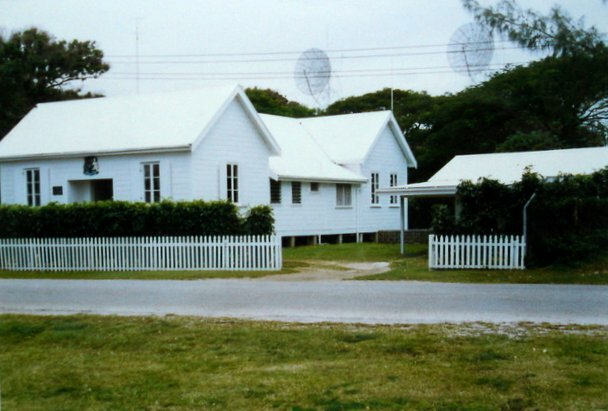 The Kiribati government leased residence and offices for the high commission until more suitable accommodation could be found. It never was, and uncertainty about the future of the Post precluded building new accommodation. The Post closed in [? date]. New Caledonia was annexed by France in 1853 and became an Overseas Territory of France in 1958. 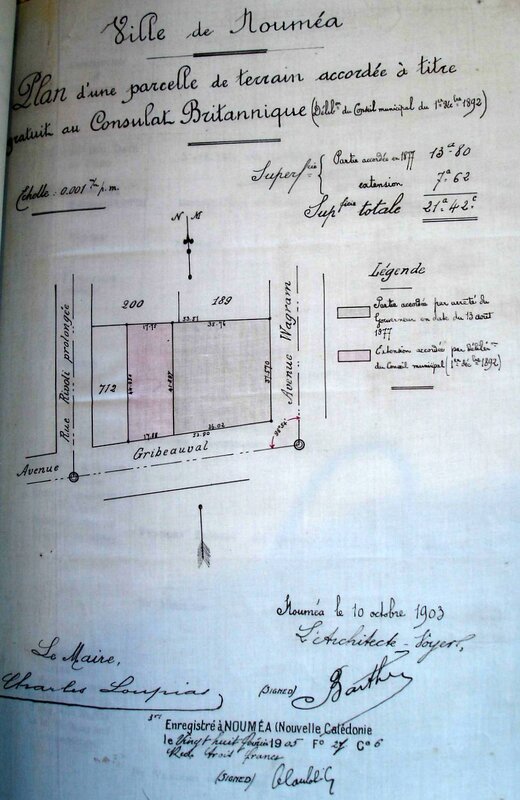 The municipality of Noumea granted a site, on the corner of Boulevard Wagram with Rue Gribeauval (later Rue des Frères Carcopino), free of charge in 1877 on which to build a British consulate, and extended it in 1892: title deeds of 1903 and 1904 remedied defects in these grants. 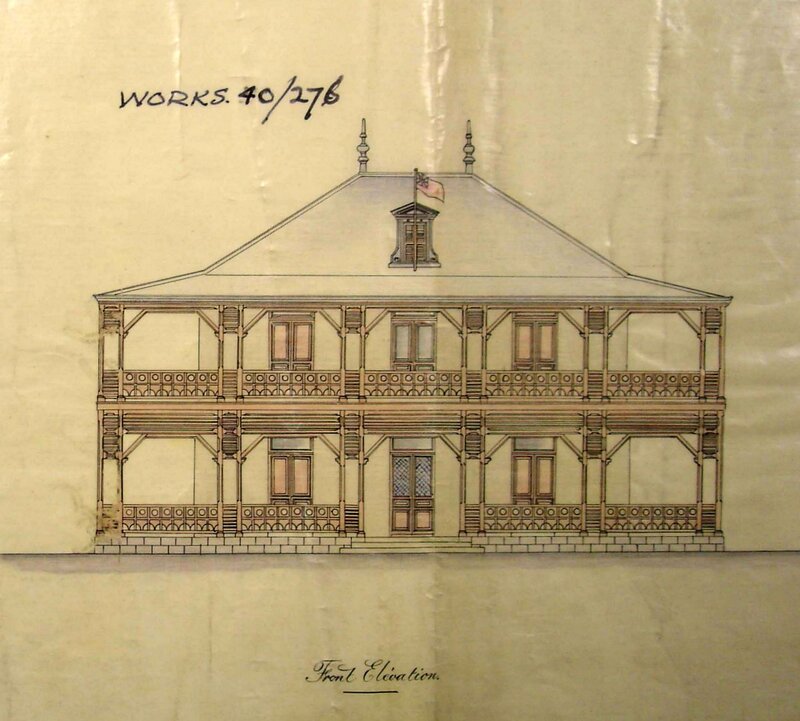 Designs produced in 1891 by a local architect, J Coursin, were sent by the Treasury to the Office of Works for observations. Robert Boyce, the Office’s principal surveyor for overseas civil buildings, instead sent a revised plan and specification to the consul, which prompted a fifteen page letter from Coursin, disputing Boyce’s contentions and wanting more fee. Boyce replied that both the scheme and the fee should be reduced. The consul responded five months later to the effect that the Boyce plan was unwanted and he sent another. The acrimony continued while the consulate was built 1893-5, at a cost approaching £5,500. The Post closed in 1966, and the site reverted to the municipality. 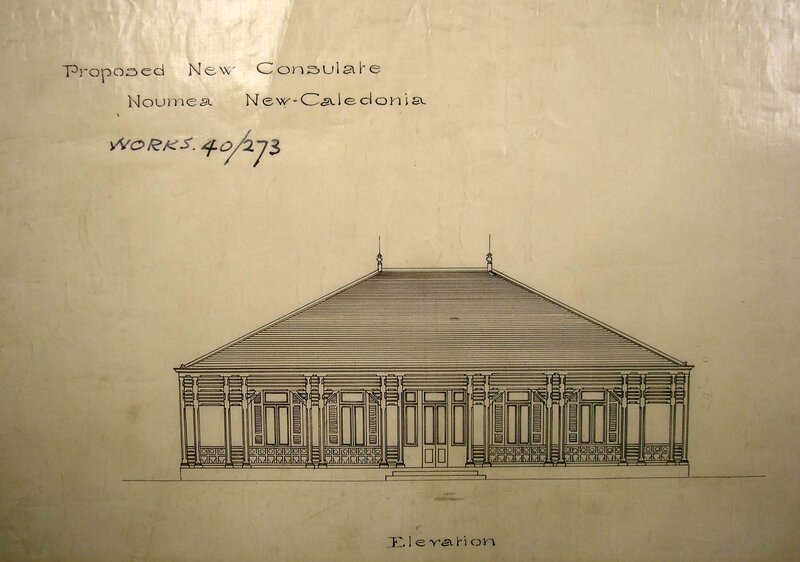 Noumea: somewhat fanciful elevation proposed by local architect, 1891. Noumea: Robert Boyce’s proposed redesign of local proposal, 1891. Papua New Guinea emerged in 1975 from Australian-administered United Nations trusteeship as an independent country within the Commonwealth. Two good sites in the Touaguba Heights Estate, at Lots 27/28 of Section 63 and Lot 91 of Section 51, were leased for 99 years in 1973 with a view to building a new residence on the former, and some staff accommodation on the latter. Schemes prepared in 1974 by John R Wild, a local architect, for these sites were not, however, proceeded with. With independence approaching, a prospective residence, called Moresby House, was instead leased for 99 years from June 1974 at Allotment 77, Section 51, Touaguba. This property proved too small for the representational demands on the residence, and in the mid-1980s FCO architects and John Wild produced new designs for a residence and two smaller houses for the two vacant leased sites. These were all occupied in 1986. Moresby House was sold in 1988. The first offices were leased in 1975 on the third floor of the United Reform Church Building, on Douglas Street in the commercial area of Port Moresby. In 1982, a plot for new offices was allocated in the new administrative area of Waigani, 7 miles from Port Moresby, at Section 411, Hohola (later Kiroki Street), and this was taken on a groundlease for 99 years from 1986. John Wild was the executive local architect for a two-storey office building on this site, which was opened by Lord Glenarthur, FCO Minister of State, in October 1987. Western Samoa was a German protectorate from 1889 until 1914 when a New Zealand expeditionary force occupied the island. New Zealand administered it under a League of Nations mandate from 1920 until 1962, when Samoa became an independent sovereign state. 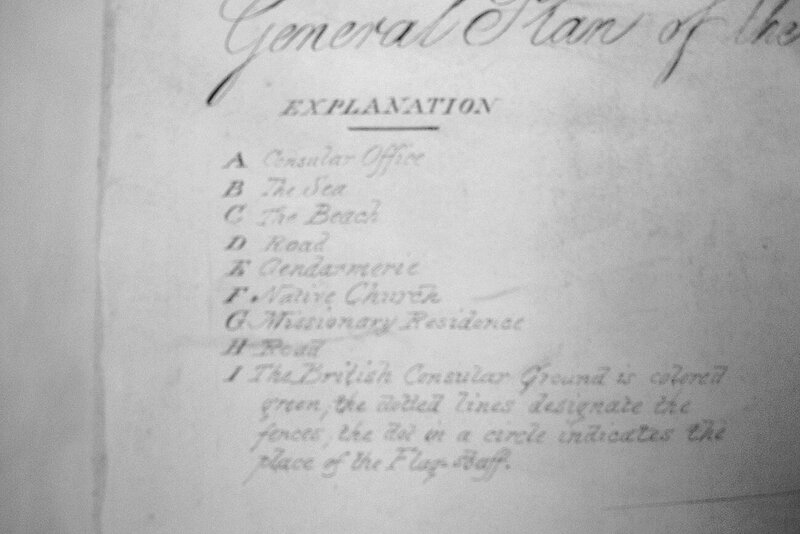 Britain established a consulate at Apia in 1886. Land was bought, partially from two natives of Samoa, Patiole and Toomalati, and a consular house built on it for £1,000 the following year by J Latapie, a local carpenter and contractor. New offices and a boathouse were built in 1899. Use of the consular house ceased in 1916, when it was loaned to the Administrator, and it was sold in 1923 for £500 to Mr AG Smythe, a merchant of Apia. 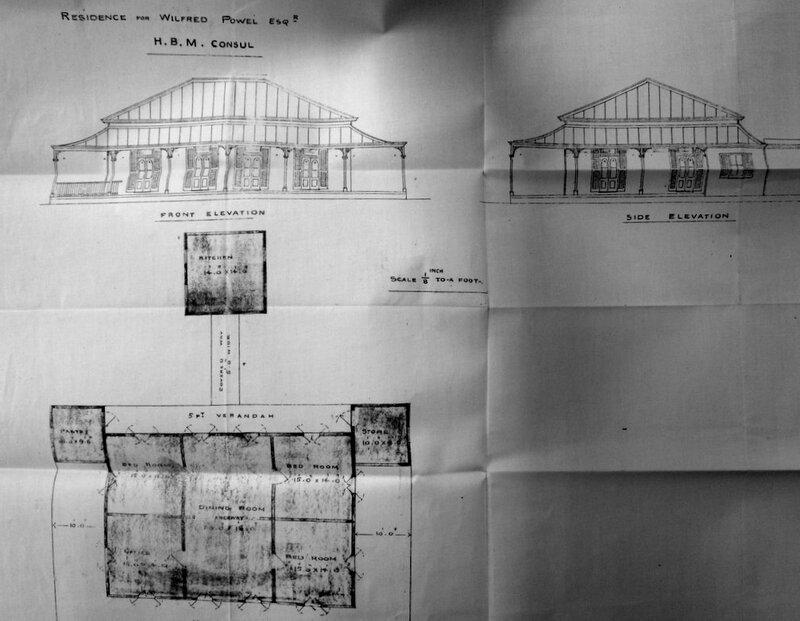 Apia: plans and elevations, 1898. The Solomon Islands became independent in 1978. In that year, a bungalow was bought from James Wang as the residence, with about three acres of ground, with a 50-year groundlease from 1970, at Lot 610 Kula’a Ridge. It remains the residence [?]. The offices were leased in 1979 on the first floor of Soltel House, Mendana Avenue, in the centre of Honiara, later called Telekom House. Tonga was a British protectorate from 1900 until 1970, when it gained independence within the Commonwealth. A 1.2 hectare site on Vuna Road, next to the palace and close to the sea shore, was leased from the Tonga government for fifty years from 1951. On it were the residence, a spacious colonial timber bungalow, and the office, a timber hutment, both built in the early-1900s. The Post was closed in the 1990s [?] and the property [? sold]. 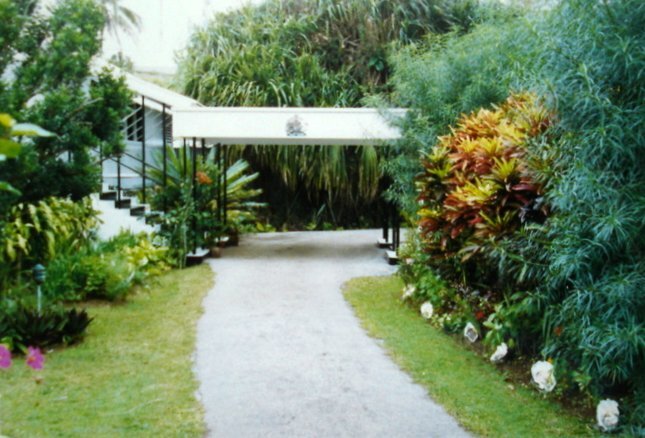 Nuku’alofa: residence porte cochere, 1970s. Nuku’alofa: garden view of residence, 1970s. Britain and France administered the New Hebrides through a Condominium Government from 1906 until 1980 when Vanuatu became independent, and a member of the Commonwealth. The residence, at Lot 36 Tassiriki Park, was built to Property Services Agency requirements under a develop/lease contract. The purchase option in the lease was exercised [? date]. The offices were leased on the first floor of Melitco House on Rue de Pasteur. The Post was closed in [?, and what then].